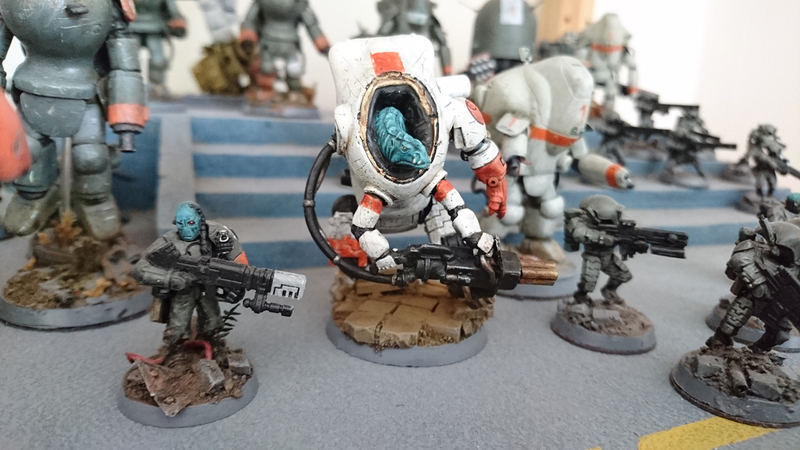 Some quick photos of my Tau Army. 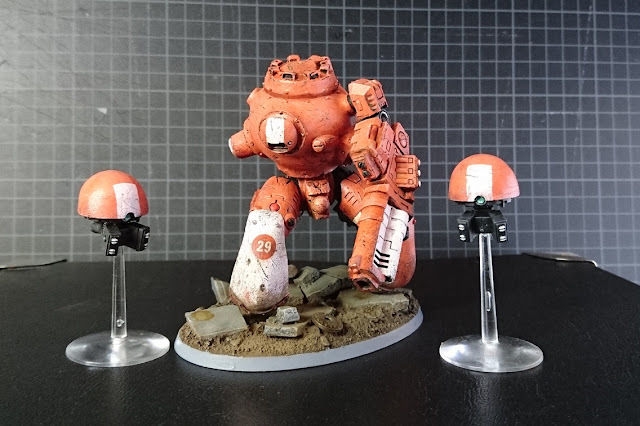 Crisis suits are 1/35 scale Maschinenkrieger Models, Riptide same brand but a 1/20 scale kit. I just like the strange lookthe incredible Kow Yokoyama created. The flying deodorant caps are my cheap and quick versions of Artillery Drones (Broadsides) as I am not very fond of the orignial kit but still had some leftovers from the one in the picture with the human pilot (I like to think of my army as comprised of many human allies who use similar tech but stranger look for their battlesuits, etc.